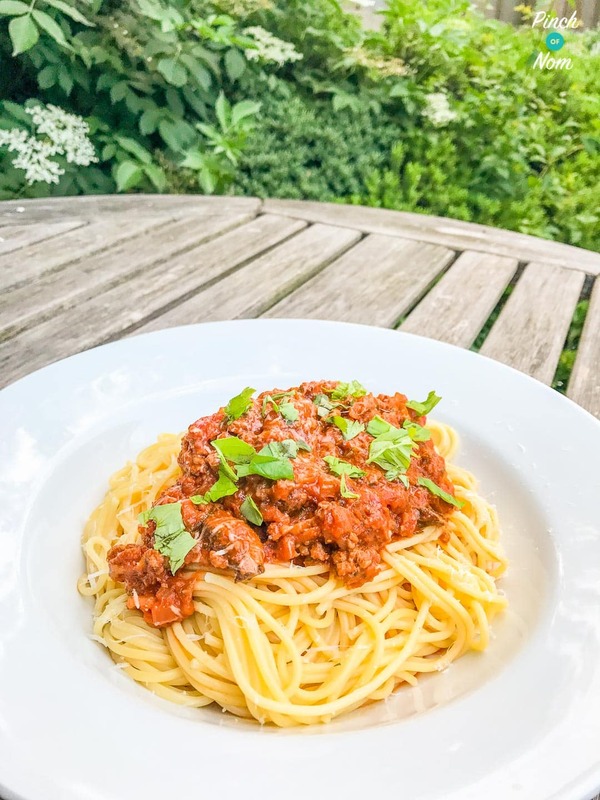 When it comes to pasta, there is nothing that beats this classic Spaghetti Bolognese – whether you’re following Slimming World, Weight Watchers or Calorie Counting! Everyone has their own version, but this is ours. We’ve adapted it over the years, and more recently to include some extra veg. Not only does it bulk it out, making the meat go further (gotta love a thrifty meal!) but it’s also an excellent way of sneaking some extra speed food into your meal, and into your kids! This Spaghetti Bolognese reheats really well, can be frozen, or turned into a totally different meal. Why not top it with mashed potato and carrot, top with some Healthy Extra A Parmesan cheese or mozzarella and have an Italian Cottage Pie? It’s one of our favourite leftover meals! Some of you love this Spaghetti Bolognese recipe! One of our Instagram followers @slimmingworldfriends made this dish and loved it! Another of our Instagram followers @slimmingjourney_jacqui made this dish and loved it too! 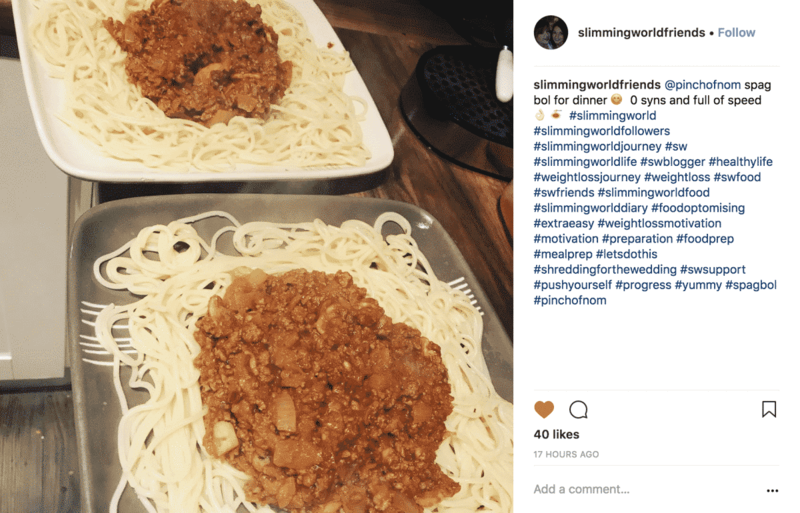 How many Syns are in this Spaghetti Bolognese? 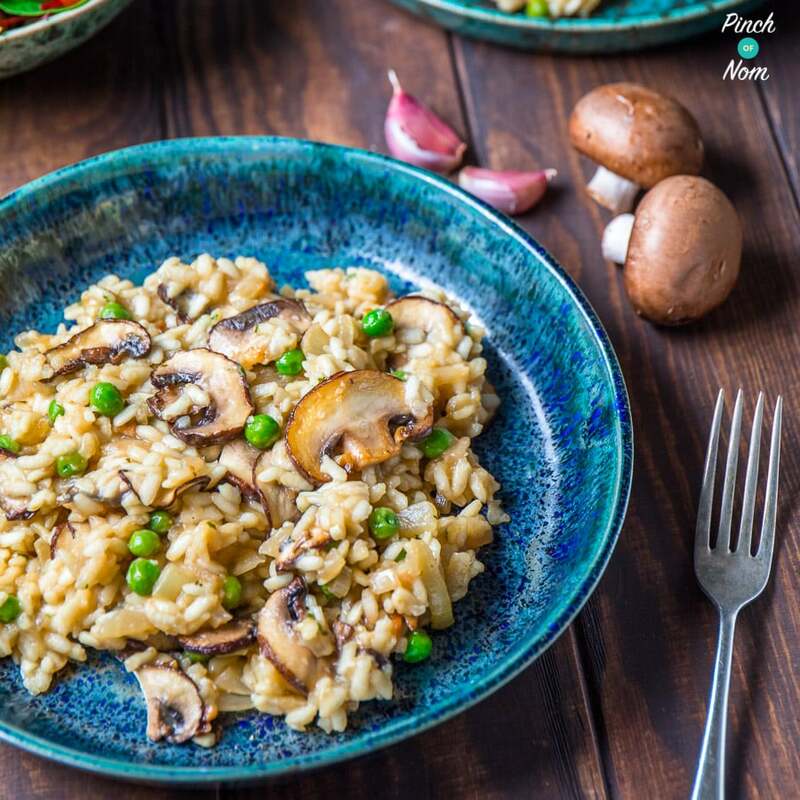 This classic Italian recipe is Syn Free! 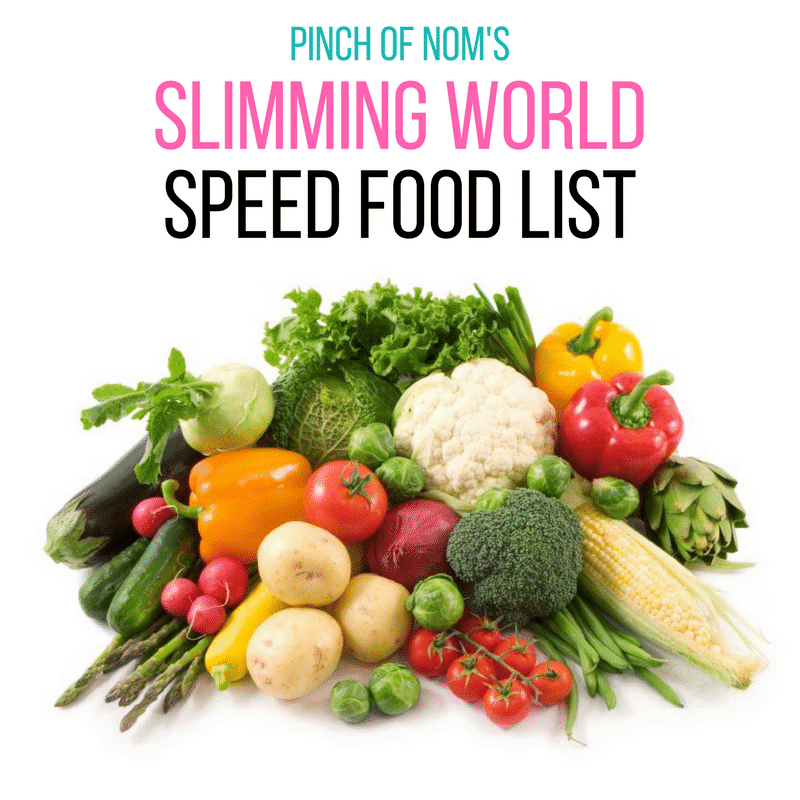 It’s also packed with a heap of hidden speed foods – you could add even more if you fancied! 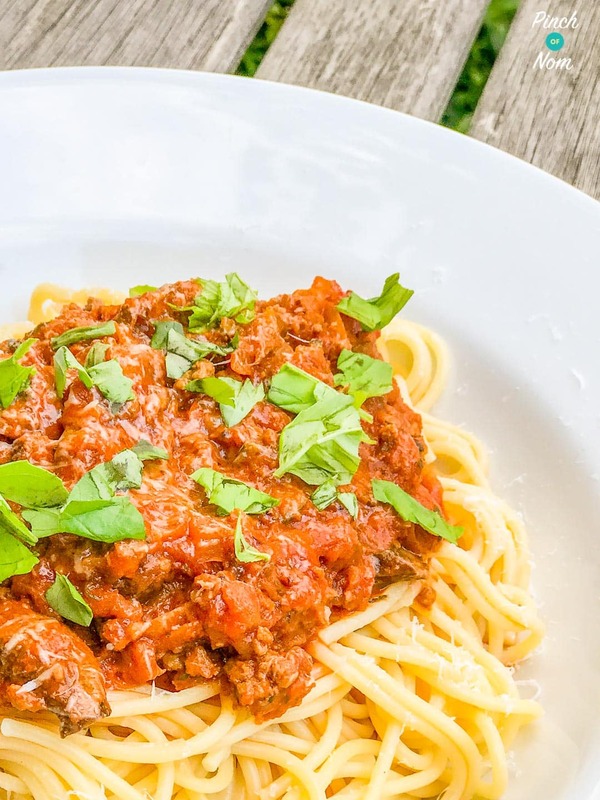 How Weight Watchers friendly is this Spaghetti Bolognese recipe? Pasta is a bit of a nemesis when it comes to Weight Watchers…but all is not lost! You could replace the spaghetti with a vegetable version such as ‘courgetti” which would lower the Smart Points from 9 with standard pasta. 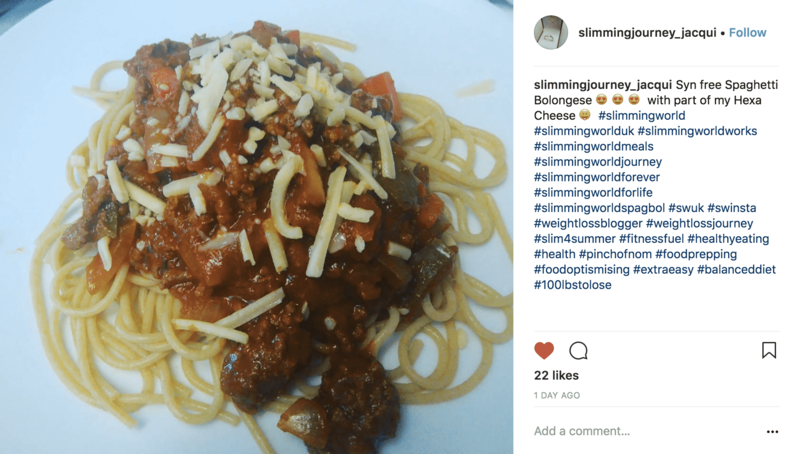 How many Calories are in this Spaghetti Bolognese? 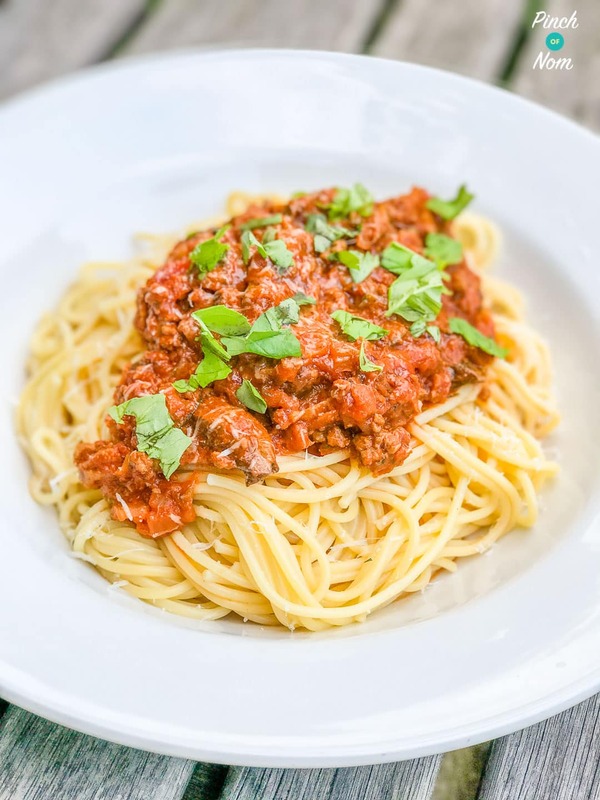 You might think Italian food is high in calories, but not our Spaghetti Bolognese! It has less than 400 calories per portion, and is packed full of flavour! 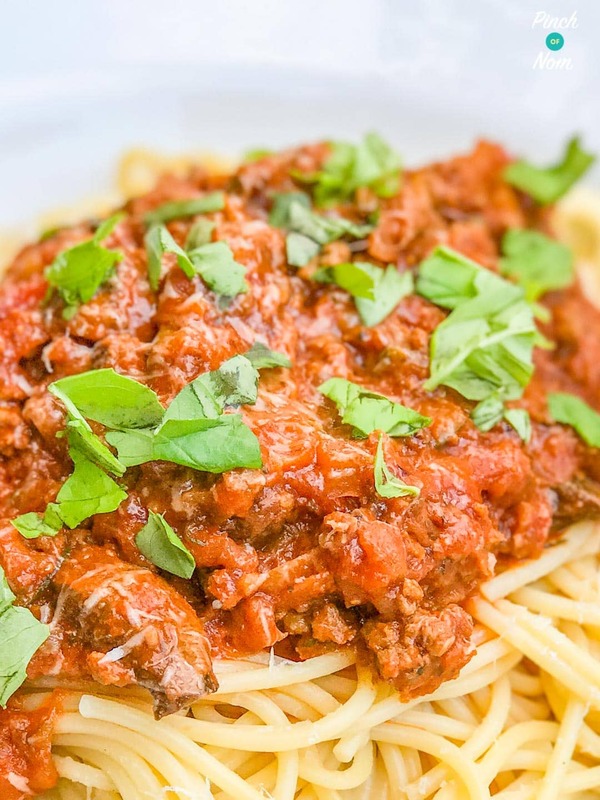 What do I need to make this Spaghetti Bolognese? When making anything with spaghetti, a proper pasta pan is really useful. The pasta needs loads of space to move and cook properly rather than being crammed in a small pan! 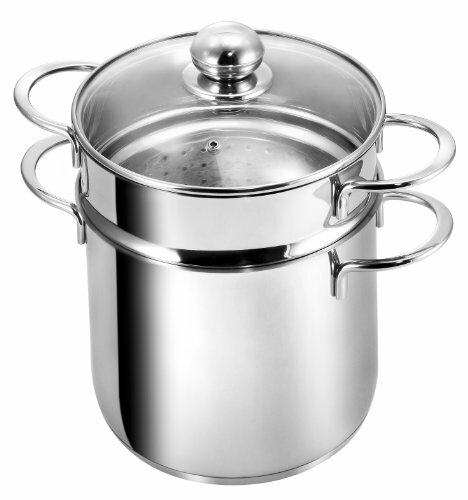 You can get a suitable saucepan from most large supermarkets, or over on Amazon! 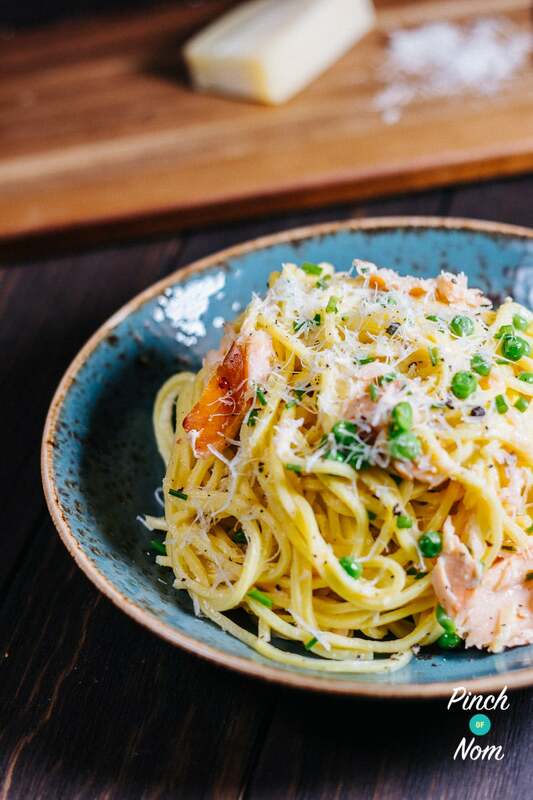 You can use your new pan to make this Smoked Salmon Spaghetti Carbonara! 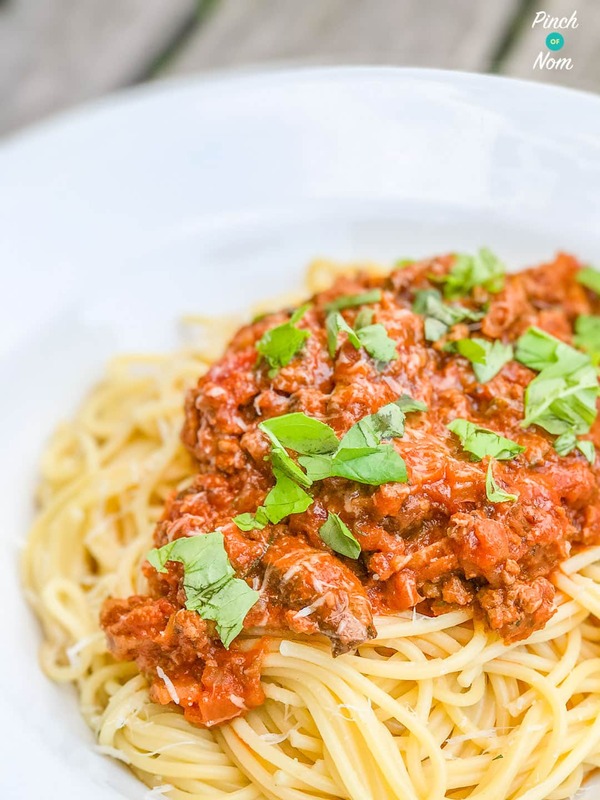 How do I make this Spaghetti Bolognese? Spray a large saucepan with Low Calorie Cooking Spray and brown the meat for 5 minutes. Add all of the veg and herbs and cook on a low heat for 5 minutes. Meanwhile, bring a large pan of salted water to the boil and cook the pasta according to the cooking instructions. Like this Syn Free Spaghetti Bolognese? Why not take a look at these pasta dishes? I really want to do this recipe but I’m Coeliac and therefore cannot have the Oxo Cube. Id there anything else that you could recommend to use in its place? I’ve just checked online, the Knorr rich beef stock pots are gluten free, so you can use one of those instead. Could I cook this in the slow cooker?!? Hi, I cook this in the slow cooker for 6 hours on low. I made a batch of this recipe as part of my weekly food prep. It is one of the nicest Spag Bol recipes that I’ve ever tasted! So much flavour…gorgeous! Absolutely yummy. So rich!! Thank you. This is the best bolognese recipe I’ve ever tried. Absolutely yummy 😋 Thank you. Thanks for getting in touch, Sarah-Jayne, so glad you enjoyed it! Going to try this today. Might be a silly question but when it says 2 oxo cubes does that mean made in to stock? Or crumbled in? Thanks! I’ve made this lots of times for my family of 5 and we all love it. I’m going to make it this weekend for my mum and my 6 year old nephew. Is there a way of making this so that all of the veg is blended and hidden in the sauce? I’m sure that you could cook off the vegetable/tomato part of this bolognese sauce and blend it before adding to the browned mince. Let us know how you get on! Hi does the calories include the spaghetti? The calories are for the bolognese sauce. Made this using your recipe today. Well impressed, turned out perfectly ,a great consistency. I added a little bit of sugar to the tomatoes for my own preference. Another success using your website, have now tried quite a few and each one has been great. My husband not on SW always eats these recipes when I cook them. Thank you and well done on such good successful recipes. Cant see at what stage to add the passata? Hi, just made this and is by far the nicest I’ve done. Absolutely delish!!!!!!! Love your stuff. Love this recipe! Does the calorie count you have provided include the spaghetti, or is that just for the bolognese? After using Bolognese jar of sauce for all my food, I bit the bullet and made this version and I am so so glad I did. It was the tastiest Bolognese I have ever made. Thank you so much for making this recipe. This is the first recipe I’ve made by yourselves, it definitely wont be the last! It was so tasty even my 8yr old son demolished his plate full. And better still he didn’t even realise it had carrots, leek or courgettes in! Winner winner. Thank you so much for sharing. So glad you all enjoyed it, Amanda! Thanks for getting in touch. 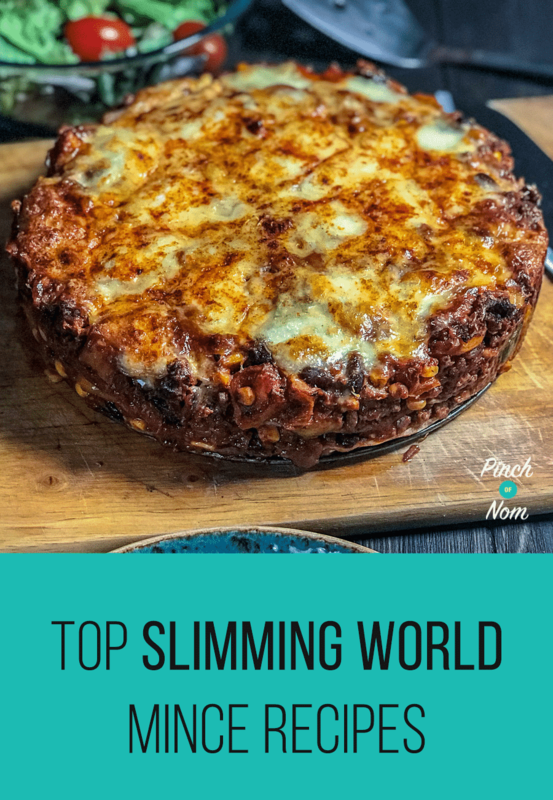 I have just started slimming world, i always cook my own meals and did not want that to change and this spaghetti bolognaise is the first i have cooked. Wow, it tastes amazing and syn free, bonus. I actually felt like i had eaten a good size, good tasting meal. I am going to cook loads of your recipes and i look forward to doing so. Thank you for so many great re ipes to choose from. Thanks so much for getting in touch, so pleased you’re enjoying the website. The spaghetti bolognese is a big favourite in our house, too! Hi, I add a piece of celeriac, grated. More free food and it gives it a great taste. Great idea – you can hide lots of speed veg in this bolognese! Thanks for getting in touch. So glad you enjoyed it! It’s such an easy one to make too, so much nicer than a jar! The brownies are a big hit in our house too!